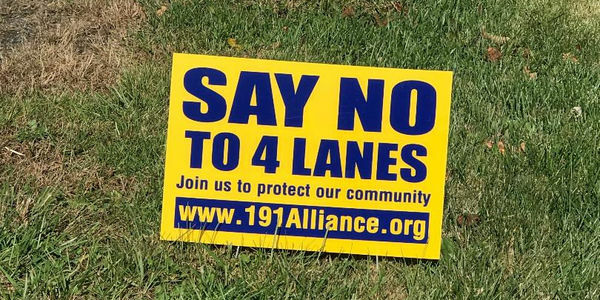 We, the undersigned, oppose NCDOT&apos;s current plan to widen NC-191 to four median-divided lanes between Boylston Hwy and Mountain Road and call on NCDOT to propose a new improvement plan. Since the Balfour project has been cancelled, we maintain that the data used to determine the widening of NC-191 no longer applies and was inaccurately interpreted from the beginning. Please let everyone you know in Henderson County about this petition. While the petition concerns the widening of 191 to 4-lanes specifically, it is also a referendum on all county projects that our county commissioners, the French Broad River Metropolitan Planning Organization, and NCDOT approve of without our input and their lack of open communication and transparency.